We at Param Enterprise based in Rajkot, Gujarat, India are leading manufacturer, wholesaler, supplier and dealer of Hindi Alphabet - Varnmala Handwriting Improvement Slates. Handwriting Improvement Slate Hindi Alphabet - Varnmala is most useful to trace the letters with a stick, a pencil or an used ballpen. It can teaches shape of the Hindi letters Writing. Helps in improving fine motor skills. Barge Surekha slate is a complete teaching aid for improving handwriting of a child. 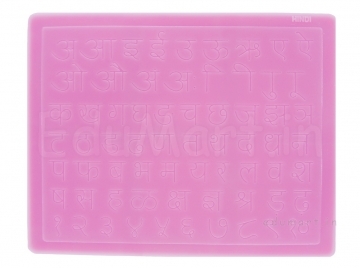 These products Hindi Handwriting Improvement Engraved Slate is made of durable longlasting flexible plastic material. You can purchase Hindi Script Varnamala Handwriting Improvement Slate online here. Using this Hindi Writing Improvement slate will help children develop Hindi Handwriting skills while practicing letters. This Writing Practise Slate has the letters etched a few millimetres deep from the plane surface. Once the pencil is inserted then the handwriting will never go astray and the children will never write the wrong way. The grooves will ensure that they stay in the right direction and prevent straying away from the path. 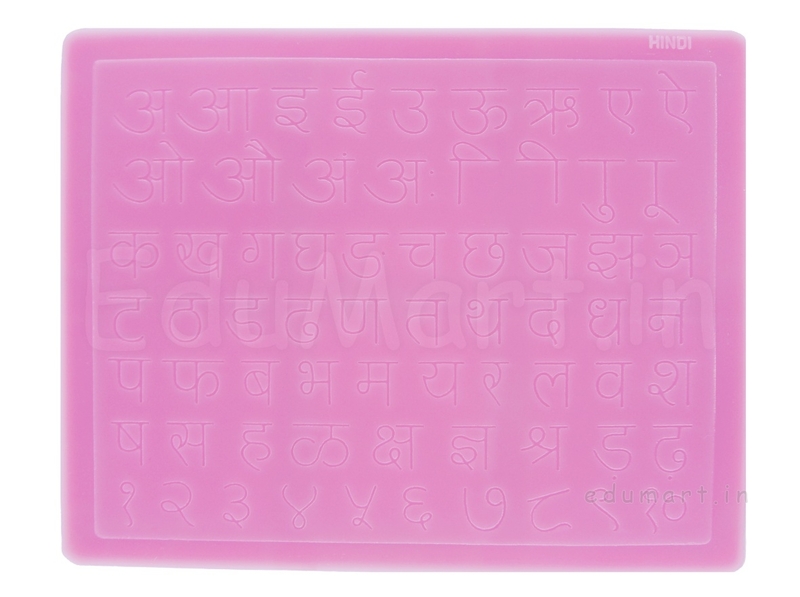 This Hindi writing practice Slate helps children write Hindi with greater accuracy. This handwriting slate can be substituted for hindi writing worksheets for preschooler or kindergarten. Also available other Language Handwriting Improvement Slates. Please search on this site for These slates. You can order and buy - shop online these Hindi Handwriting Improvement Slate here ! Actual colours may vary from the colours displayed on this site.